The Cannon County Board of Education extended the contract of the director of schools based on job performance during its regular monthly meeting at Woodbury Grammar School Thursday. The Board voted, 3-1, to extend Director of Schools Barbara Parker's contract one year through the 2016-17 school year. Board member Nathan Sanders made the motion, which was seconded by chairman Randy Gannon. Sanders, Gannon and Roy Parker voted for Parker's extension. Bruce Daniel voted no and Chris Blackburn recused himself. The extension comes on the heels of the director's annual evaluation by the Board. The evaluation, which includes 52 items, is provided by the Tennessee School Board Association (TSBA). Gannon explained the Board could either give Parker a bonus, a raise, a one-year extension or do nothing based on the resulted of her evaluation. "(Parker's) job is not one I envy," Sanders said. "I don't think the financial situation of our school system is a question. Looking at our budget, it has been trimmed as much as it can be trimmed. Thankfully, we have someone who can oversee that and oversee it well. "I would like to see something done for Mrs. Parker financially but it is not feasible at this time. I publicly commend Mrs. Parker for the job she has done." Gannon agreed with Sander's assessment. "Looking back, through attrition (Parker has) trimmed everything," Gannon said. "As a Board we have had to look at a lot of things and cut out a lot of things due to budget constraints. Personally, I have not had a problem with anything (Parker) has done or how she has handled it." Daniel said he had met with Parker and believes they have a clear understanding of what is expected. "I spoke with Mrs. Parker on the evaluation," Daniel said. "Both of us have a clear picture of where we are. I vote no." Blackburn said he has been working excessive overtime and has not had an opportunity to have questions answered so he opted not to vote on the issue. 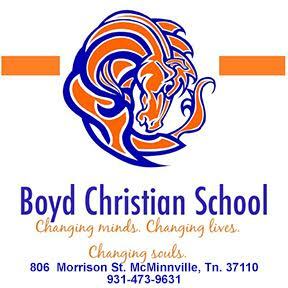 In other business, the Board approved the food service budget and bread bid for the 2013-14 school year. Donelson Roofing was low bid for the Auburn School roof project at $87,200. The Board awarded Donelson Roofing the job and work was to begin last Friday (July 12). Woodbury Grammar Principal Bonnie Patterson was given permission to apply for a Community Foundation Grant in the amount of $10,000 to assist with the After School Program. The Moulder family had their transfer request from East Side to Woodbury Grammar School denied. Gannon also reported that the renovation on the CCHS football field is complete. "Field drain tiles have been installed, sand has been installed, the field has been recrowned and Bermuda sprigs were applied," Gannon said. "There will also be a bigger practice field. This was all done at no cost to the Cannon County School System." The next Board Meeting Workshop will be at the Central Office, Aug. 6, at 6 p.m. The next regular Board Meeting will be Aug. 8 at Woodbury Grammar School at 6 p.m.